A victim was beaten and robbed outside of Wood restaurant last Monday morning. 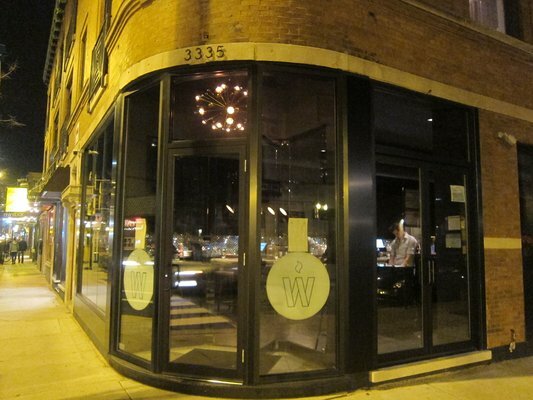 A man was punched and robbed of his wallet and cell phone outside of Wood restaurant, 3335 N. Halsted at Buckingham, last Monday morning. The criminal is described as a male, black, in his 40's, with a "small gray beard" wearing a black shirt, red jacket, and blue jeans. He was last seen heading westbound on Buckingham from Halsted. It looks like the 3300 block of North Halsted is going to have trouble getting off of the list of Chicago's most dangerous streets.